Имате въпрос към Gangnam City Hostel? Разположен на централно място в Гангнам, Gangnam City Hostel е идеално начало за Вашaта екскурзия из Сеул. Оттук гостите имат лесен достъп до всичко, което този оживен град може да предложи. С удобното си местоположение хотелът предлага лесен достъп до всички градски забележителности, които задължително трябва да се видят. Gangnam City Hostel предлага безупречно обслужване и необходимите удобства, за да удовлетвори гостите си. Гостите на хотела могат да ползват съоръжения като безплатен WiFi достъп във всички стаи, 24-часова рецепция, експресно настаняване/напускане, съхраняване на багаж, Wi-Fi връзка в общите части. Всички стаи се отличават с грижливо замислени удобства, което гарантира неповторимо усещане за комфорт. Пълният списък от съоръжения за отдих е достъпен в хотела и включва градина. Когато търсите удобно и комфортно място за настаняване в Сеул, изберете Gangnam City Hostel, който ще се превърне във втория Ви дом. Отседнахме 8 вечер/и в май 2014 г.
Отседнахме 23 вечер/и в юни 2014 г. The hostel is conveniently located 3mins walk away from Nambu Bus Stn and airport shuttle 6016 brings you right to the doorstep. The boss and staffs were really helpful and can all speak english. The hostel is not easy to locate and they forgot to tell us that we can't check in early, despite us informing them in advance. Neither did they tell us the password to the lock, so we had to wait outside for a very long time before someone let us in. However, they were quick to apologise for their lack of foresight and the big, clean beds made our stay generally pleasant. Would stay there again if I want to travel out of Seoul to another city since the terminal is a walking distance away, but it is too far from central Seoul if you just want to shop. I booked 2 days but I had to change a schedule. I had to stay just one day. Before I went there, I asked whether I could refund one day. Then they say, "Left's meet and check in first" So I did.But there was no refund at all. If the place was good, I could handle that. But!!! How could they do?? This place needs to be cleaned. I was shocked. There were dirty things. I could smell something disgusting easily. The bathroom was not clean,too. I would never go that place. This place is not hotel. On agoda.com it says you can check into the hostel at 11am, but thats a mistake. The actual time is 2pm. I showed up early, luckily my room was empty and already clean. I was just in Seoul for one night and need to leave using Nambu bus terminal. its very convenient if you have to use it. 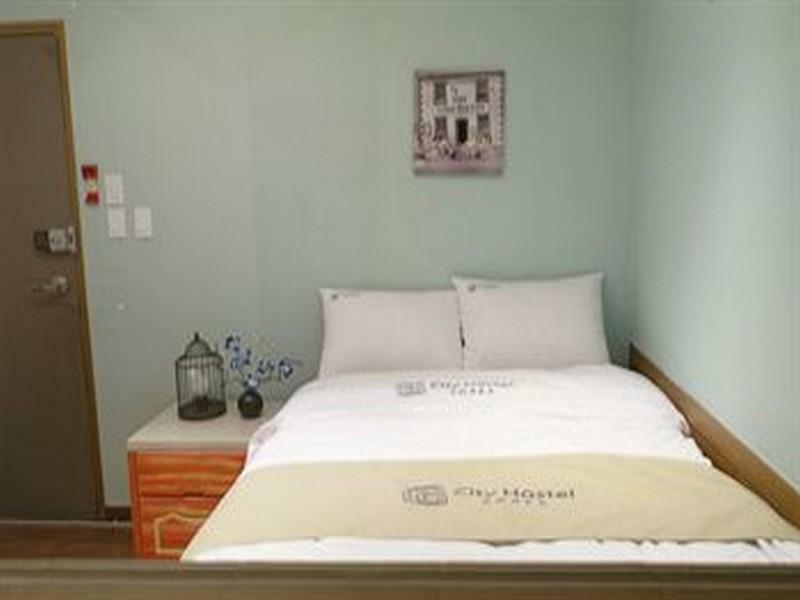 Gangnam City hostel is a nice little affordable place if you just looking to be in seoul for a quick moment. Theres not too much around the hostel, but there subway station is very close to travel to other areas. It was located 5 mins away. Good location with nice restaurants around. If you need help on BBQ recommendation, ask for this restaurant called 'Jeju Pork" or something like dat. As you get out of the hostel, you will see centro hotel at your 1 o'clock. Turn right at the junction and walk pass a convenient stall (on the right). Keep going down and you see a 24 hour BBQ restaurant written in Korean word. Kudos to Hyung Jay for recommending this awesome place. Well, the super friendliness of the staffs is the strength of this place. 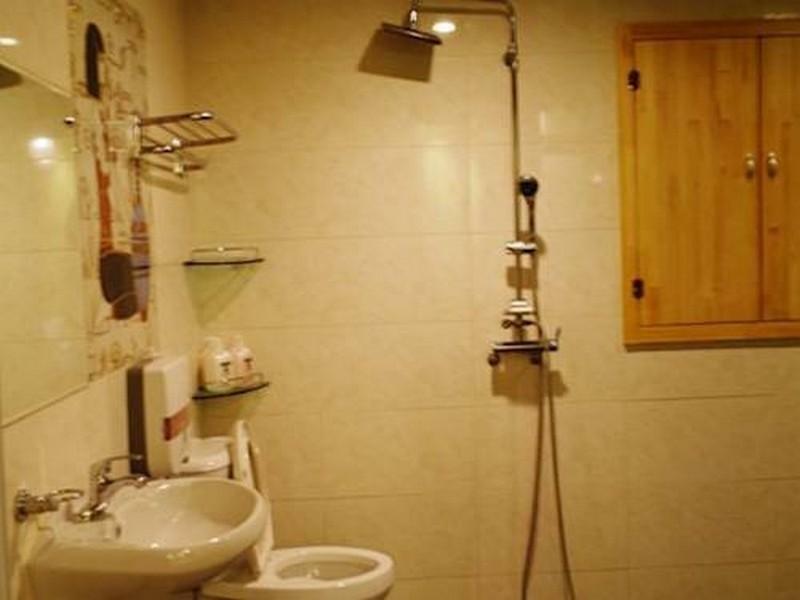 However, rooms are abit small but they have super huge bathroom. I think it was designed that way for fire escape. If you are travelling wit family, this is probably not that suitable but I highly recommend it to solo or couple travelers. Also, no lifts in the hostel so you gota carry your luggage. That's why it's harder for family but if you don mind, go ahead. You'd be impress with their awesome hospitality. It's the same as the last! The boss actually recognised me!! Im touched! Convenient location, good space room and big toilet. Friendly staff and boss. Feels like home. You can do what you want in the kitchen - cook, chat etc. Also, it's the same goodness as when I last went. Consistent! Great! Its weird why the toilet is sooo big than the actual space for sleeping. They dont clean the room everyday. Hostel has no airport transfer of its own. No variety of food for breakfast always the same everyday. But the staff are very friendly and accomodating. The hotel has a good location near the Nambu bus terminal and the airport bus, the staff is very friendly, and there are numerous restaurants/coffee shops nearby. The hotel is good value for money. The room was comfortable but the bathroom lights didnt work. I felt like that is a necessary fix that should be noticed and fixed before renting a room. I wouldn't recommend this place unless you really trying to save money and looking for something close to Nambu bus terminal. Its winter and the room was very cold. I was told, heat isn't turned on in the rooms until like after 11pm. The light in my room took forever to come on. The toilet paper wasn't replenished. And the worst thing is, when i was laying in the bed, i pulled up the covers to discover there was a big period stain underneath the blanket. I felt gross the whole night. The Staff is nice, but if you're looking for a cleaner place to stay, then this place isn't for you. Not too bad overall but hostel's cleanness must be improved. Leaving garbages along first floor corridor is not acceptable. Not sure if I was an unlucky one whose toilet was unable to flush and had to ask for urgent help. Отседнахме 6 вечер/и в юли 2014 г.
no cleaning unless request, while cleaning they threw away our stuff that was not waste. Not very clean and room was quite small. This place was great. The staff was very friendly and helpful. The rooms were very clean and neat. i felt like home when i stayed in Gangnam City Hostel. Host & staff took a good care of me. Location is amazing, just one stop away from gangnam. And close to public transport. Staff were friendly and could converse in english. Rooms were spacious and clean for such a low price. Excellent, highly recommended to budget/single travelers coming to seoul. Cheap and convenient, with a friendly atmosphere. Отседнахме 8 вечер/и в юни 2014 г. The bathroom was not clean. There was someone's hair in the water hole. Also, the hair is on the pillow. The hotel needs to be cleaned. Location is convenience but the room is not clean enogh.